Viola Jane Kielas, 94, of Lester Prairie, died Wednesday, June 7, 2017, at The Good Samaritan in Howard Lake. A Mass of Christian Burial was held Friday, June 9, at Holy Family Catholic Church in Silver Lake with the Rev. Michael Doyle as the celebrant. Alice Nowak was the organist, and special music was by Franklin Vorlicek. Genny Lhotka was the reader. Gift bearers were Sherlyn Stritesky and Brian Mikolichek. Honorary casket bearers were her grandchildren. Casket bearers were Kevin Carrigan, Curtis Blaske, Ronald Dostal, LuWayne Wraspir and Garlen Mikolichek. Interment was in the Bohemian National Cemetery, Rich Valley Township, McLeod County. 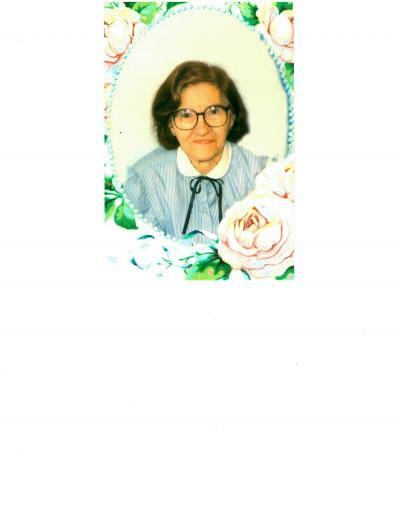 Viola Jane Vorlicek was born April 5, 1923, in Hale Township, McLeod County, the daughter of Edward and Alice (Dostal) Vorlicek. She attended School District 25 (Pleasant Hill), six miles north of Silver Lake. She enjoyed dancing the polka and attended many dances at Sherman Station and the Swan Lake Pavilion. Viola Vorlicek and Theophil Mikolichek were married on May 4, 1943, at St. Adalbert’s Catholic Church in Silver Lake. God blessed their marriage with eight children. They lived on a dairy farm in Winsted Township. She enjoyed doing farm work, gardening, canning and sewing dresses for the girls. After 17 years, they moved to a 13-acre place on the outskirts of Silver Lake. She was a waitress at the Silver Hi Drive-In & Café and did sewing for EDCO in Winsted. Mr. Mikolichek died in 1971. She married Henry Kielas and moved to Lester Prairie. Mr. Kielas died in 1999. She remained in her home until November 2015. She enjoyed making quilts for her grandchildren and great-grandchildren. She enjoyed dancing, playing cards and board games like Scrabble, and visiting with friends and neighbors and her ever-growing family. Survivors include her children, Minerva Stritesky and Mary Ann Artmann of Silver Lake, Dolores (Jack) Sweeney of Cornell, Wisconsin, Harvey (Connie) Mikolichek and Clarence (Melinda) Mikolichek, all of Silver Lake, Theresa (Jeff) Rich of Cokato, Dean (Karen) Mikolichek of Silver Lake and Linda Giesen of Donna, Texas; stepchildren, Donald (Karen) Kielas of Silver Lake and Frances Helmbrecht of Hutchinson; 40 grandchildren and 68 great-grandchildren; five great-great grandchildren; and by a sister-cousin, Sylvia Wawers. She was preceded in death by her parents, Edward and Alice Vorlicek; husbands, Theophil Mikolichek and Henry Kielas; granddaughters, DeAnn Sweeney and Kim Kielas; sons-in-law, Ken Stritesky and Clem Artmann; brothers-in-law and sisters-in-law, Delphine and Orrin Wraspir, Clara and Art Prochaska, Aloise Mikolichek, Adeline Rose, Odelia and Harry Miska; and Mr. Kielas’ 12 brothers and sisters. The Maresh Funeral Home in Silver Lake served the family. Online condolences may be made at www.mareshefuneralhome.com.